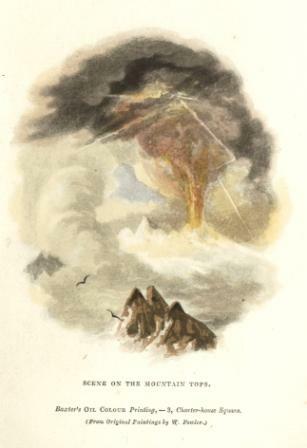 This is the frontispiece to Mudie’s The Air published in 1835. This Picture was taken from an original paintings by W. Fowler. Colour Wood Block Print, size 6.5/8 x 4 inches. Also printed using the Baxter Process, i.e. with key plate, as one of the prints submitted by Baxter on April 23rd 1836 with his specification for his patent application.